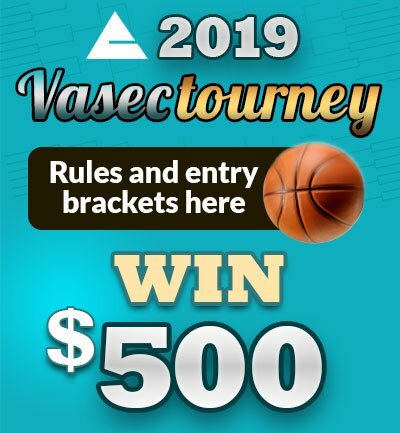 Once you have considered the pros and cons of a vasectomy, contact our office at 815.409.4730 or request an appointment to schedule your consultation with one of our physicians. At that time, he will review the procedures with you and answer any other questions you may have. Advanced Urology offers an initial consultation AND your procedure all in the SAME DAY. You have kids = You are busy. Why not get this done all in the same day and get back to your family, work, and your everyday life. Sign a form prior to the procedure. This gives your doctor consent to perform the procedure. 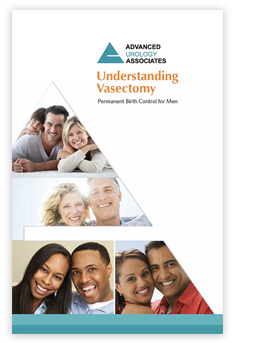 It also notes that a vasectomy is not guaranteed to make you sterile. Tell your doctor about all medications, supplements, or herbal remedies you take. This includes prescription and over-the-counter drugs. It also includes medications to prevent blood clots. You may be asked not to take some or all of them before surgery. Tell your doctor if you’ve had prior scrotal surgery. Shower and clean your scrotum the day of the surgery. Ask if you should avoid shaving. Bring an athletic supporter (jock strap) or pair of snug cotton briefs. Have an adult family member or friend prepared to drive you home. Insurance Card and Photo ID when you check-in at the front desk. Bleeding or infection of the incisions. Reconnection of the vas deferens. Requires another procedure to correct. Sperm granuloma (a painful lump where the vas deferens is sealed off). Requires another procedure to correct. Congestion (sperm buildup in the testes). Causes soreness. Epididymitis (inflammation). May cause aching in the scrotum.